Ready to learn the secrets that will help you to book more parties? It’s simpler than you may think! You’re ready to book more parties and next level your Scentsy business. You are asking more people, but no one seems to have time. Sound familiar? Take the time to show your potential host how they can get the host rewards they want without clearing their schedule. 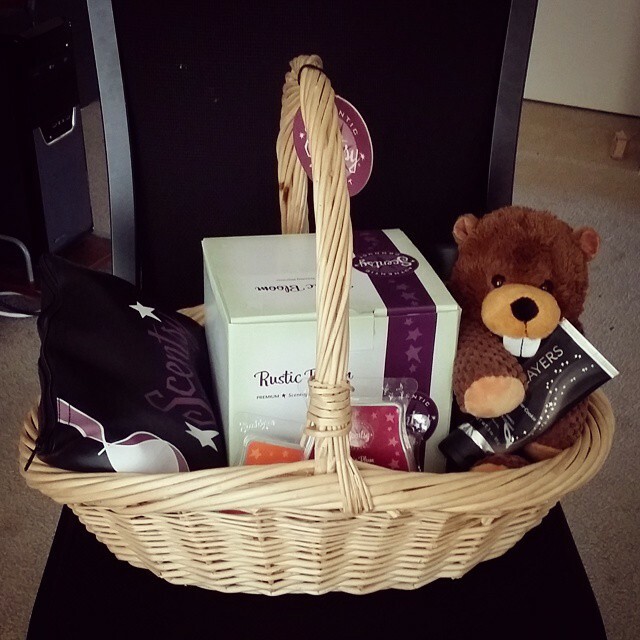 Recognise that although it can be hard to get everyone in the one place at the one moment, we can solve this problem by offering a Scentsy basket party or borrow bag. Many people are in the habit of rushing from one commitment to another: work, kids’ activities, sport etc. As a quality Independent Scentsy Consultant this is our chance to show our potential host that what looks like a problem, can actually serve as a fantastic opportunity! What better avenue to show off Scentsy than to all their colleagues or clients at work? Bag or basket not their jam? Too busy with the kids and not enough free hands? Offer to meet up at playgroup for a small informal sip and sniff, or offer to coordinate a fundraiser for their sporting club. Show your customers and potential hosts that a Scentsy Party isn’t an additional chore; it’s actually a great excuse to take a little time for themselves and have some fun! Perhaps your stumbling block as you attempt to book more parties is the budget of your potential host is a little tight. Many people have a preconceived notion that having a Scentsy Party is going to cost them money. Of course we know this is not the case. Even for a home party it’s as simple as popping the kettle on, opening a packet of biscuits or chips and that’s a wrap. Be sure to highlight that Scentsy’s host rewards program from Australia to New Zealand, or from to USA to the UK, is THE BEST in the business! Who wouldn’t want to get their Scentsy free and half price by grabbing some mates together or taking a basket or a bag full of scentsational products? Even better again, offer them the business opportunity by asking them to join your team as an Independent Scentsy Consultant too! Tell them about your “why” and how you are on your way to great things with your business. We know that we don’t need a lot of guests to have a successful Scentsy party, but you can bet your bottom dollar that bums on seats (or lack thereof) is a major fear for many potential hosts. We all know someone, or have been someone that has felt the immense pressure from an inexperienced or unaware representative that has insisted on a cast of thousands for a simple party or demonstration. So as you work on your ability to book more parties, remember that we don’t know what we don’t know. Reassure your potential host that customers familiar with Scentsy usually order upwards of $50 each without even breaking a sweat (and new customers even higher!). PLUS, let them know that by having a local party open you are then able to collect outside orders for them by offering the customers free shipping under their Scentsy party order in Australia or reduced shipping in other countries .Win/win for everyone! Ever met someone who hates party plan? Wouldn’t go to a Scentsy party if you paid them, never mind host one? You may have even been this person yourself prior to joining Scentsy. Usually these guys have been burned by really overzealous direct sales reps (remember the example above? )- we have all met at least one! This is not the time to try and win the battle to book more parties with force. You won’t win the battle, and trust me – you will lose the war. Empathise with those who have had this kind of negative experience and stay extremely cool. Believe it or not, once you win over this potential host by being genuine, sincere, professional and not at all pushy – you will have a fan for life! Explain that you absolutely understand how they feel, it is after all a very relatable scenario. Then let them know that firstly, Scentsy is a really informal type of party plan. We don’t call our events “sip and sniffs” for nothing, right? Tea/Coffee/Wine and fragrance- what could be more low key? 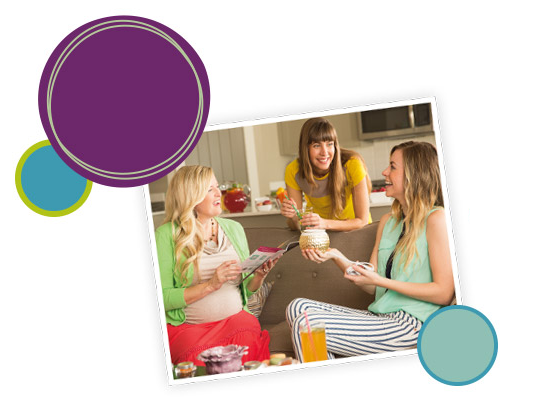 Describe a Scentsy party as a time out and highlight how much fun it can be for them and their guests. Also, you can confidently assure them that the smellin’ does the sellin’ in that the Scentsy products do all the work for us. We don’t need to be aggressive or pushy to anyone. Most of us weren’t trying to book more parties as far back as the 80’s (personally I was a baby), but what we can learn from our party plan forebears is the landscape is always changing. Around the 1980’s to 1990’s of party plan, the focus was very much on how many people you could beg, bribe or blackmail to attend a home event and then how much your representative could coax the guest to produce in terms of host rewards. Sounds like a hoot…. said no one ever! With that in mind, it’s up to us as professionals to communicate that times have changed, and that is not how we roll. Especially not within Scentsy. Firstly, our hostess rewards aren’t geared around party bookings, so no one is going to get hassled. Secondly, a Scent Circle is $5 (AUD). Virtually anyone willing to attend a “sales” event will be fine with that kind of outlay, and even if they aren’t- no worries! We aren’t going to frisk them for their credit cards, right? So, now that you know a little more about why people say no, and how to overcome it, what do you do now…GO FOR THE NO! Ask and then listen and problem solve, you’ll be amazed at what this does for you. Enjoyed what you just read? Do me a solid and share this with your team or fellow direct sales professionals. Want to connect with me? Scroll on back and hit me up on the social media platform of your choice.